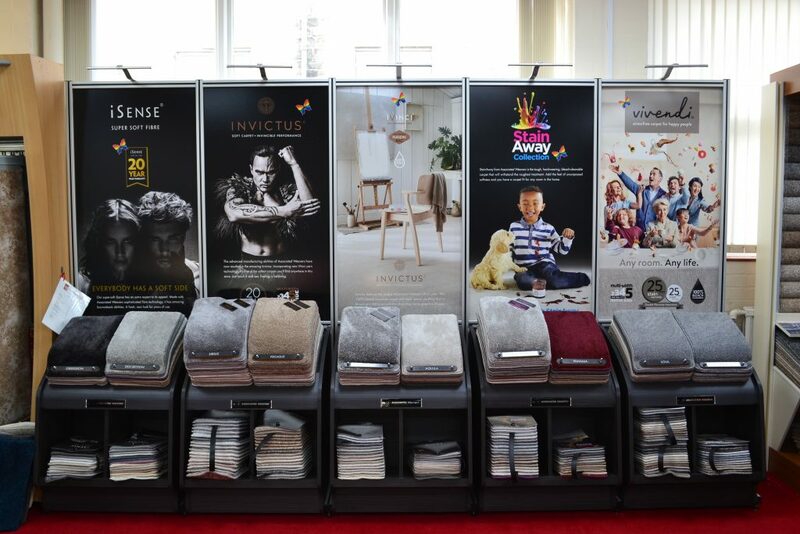 Come and view our new carpet displays featuring iSense and Vivendi by Associated Weavers. Remember those stressful Sunday afternoons at your grandparents when you were just a child and any spill on the carpet was a drama? For better childhood memories, there’s Vivendi®, a cool carpet for happy people. With a Vivendi® carpet, nothing stops you from enjoying life’s best moments. Vivendi® is made with the exclusive iVivo® yarn, a solution dyed nylon of an exceptional quality. It makes Vivendi® carpet bleach cleanable, incredibly resilient, superbly wear-resistant and yet pleasantly soft. With four diverse ranges, there’s a carpet to make all people happy: from playful to dense, from discreet pastels to trendy greys and intense colours. A typical feature of Sensualité® is the iSense® yarn, a unique and extremely soft polyamide which is also very strong and resilient. Those features make Sensualité® particularly suited for the bedroom. Sensuality® is the embodiment of tenderness and strength, so cuddly yet so powerful and is made up of several collections of unique broadloom carpet, each in a wonderfully subtle range of colours. The ideal carpet for a bedroom, full of softness, comfort and luxury. Pop into the showroom for a look at the stunning displays.